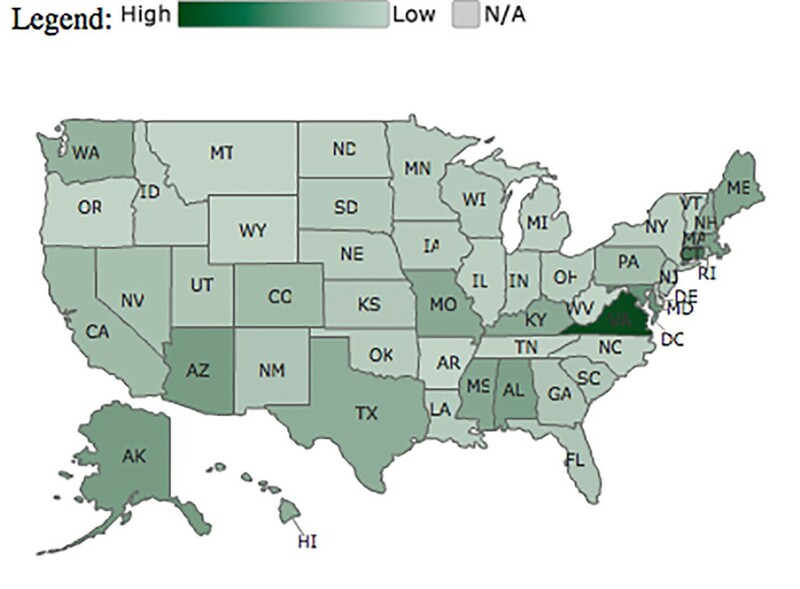 Click on the map to see the National Priorities Project's interactive map of defense spending by state and by year. WASHINGTON – Defense contracts awarded in Arizona fell by $1.7 billion between 2012 and 2013, buffeted by the federal budget sequestration, a drawdown of U.S. military commitments and a sluggish economic recovery. While the drop was severe – total defense contract spending in the state fell from $12.94 billion to $11.25 over the one-year period – industry officials said they took precautions that helped soften the blow in the short term. But experts also said that in the long run, defense dollars will remain “critical to Arizona’s economic future,” which is why state and private officials are focused on making sure the drops in spending do not continue. “We’re making sure our congressional delegation understands the importance of Arizona’s defense contracts,” said Garrick Taylor, senior vice president of government relations and communications at the Arizona Chamber of Commerce. The defense contract numbers came from the National Priorities Project, a private, non-profit budget watchdog group that did state-by-state analyses of federal spending under its State Smart project. It drew the contract data drawn from USASpending.gov, a federal government website. Final numbers for fiscal 2014 are not expected to be available until January, according to officials at National Priorities Project. Steven Zylstra, president of the Arizona Technology Council, pointed to several factors that may have contributed to the recent drop in contracts, including lessening of U.S. presence in Iraq and Afghanistan and the natural ups and downs of the business cycle. One of the biggest culprits was budget sequestration, the automatic cuts to federal spending that were enacted as part of the Budget Control Act of 2011. When Congress and the White House failed to reach agreement on a long-term budget reduction strategy by March 2013, sequestration kicked in and cut spending authority by $85 billion for the year – with half of that to come from defense spending. Boeing has 4,000 employees in Arizona and worldwide revenue of $33 billion in its defense, space and security business in 2013. Margaret Mullen, chief operating officer for the Science Foundation Arizona, believes that defense dollars are vital for Arizona due to the many military installations the state has. In an attempt to protect that future, the governor’s office charged the science foundation in 2010 with developing a plan not just to sustain the industry but to eventually help it grow further. The plan laid out 31 objectives to increase the military footprint in the state, including securing F-35 training missions for Luke Air Force Base in Glendale and keeping the 612th Air Operations Center at Davis-Monthan Air Force Base in Tucson. Both of those goals were met. Retired Gen. Thomas Browning, who co-authored the plan, said “at least seven of the objectives were met, and a number of others were implemented.” But he warned that although the defense economy was relatively stable in the past, reliance on new technology could result in an uncertain future for some businesses. Despite the uncertainties and setbacks, most of those affected so far say they remain focused on the future. “We’re doing all we can to win new missions,” Taylor said. 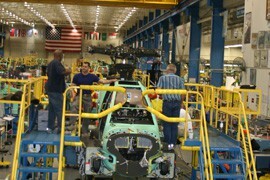 Ronald Young fashions a pylon used to hold weapons on the AH64D attack helicopter that is built at Boeing's Mesa plant. The defense contractor employs more than 4,000 people at facilities in Arizona. 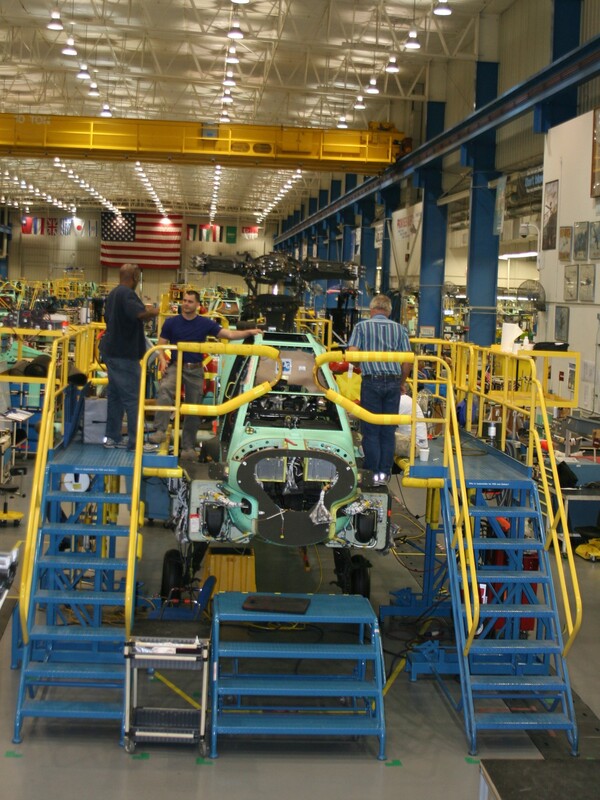 Boeing's plant in Mesa builds and refits Apache AH-64D attack helicopters.